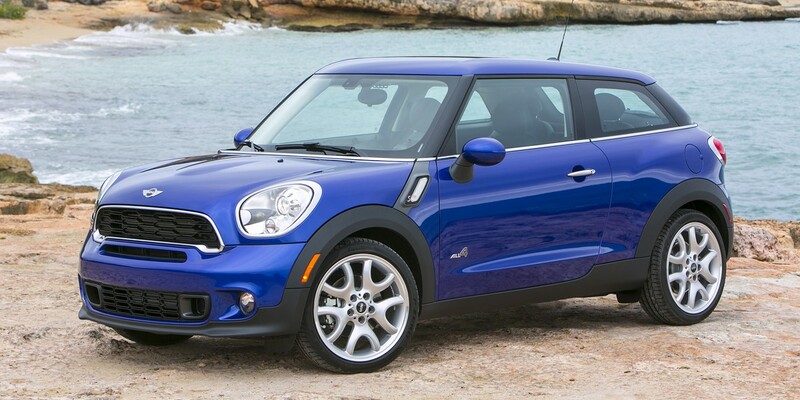 CG Says: The Mini Cooper Paceman is essentially unchanged for 2016. The Cooper Paceman is a unique vehicle because it has the qualities of an SUV (relatively high ride height, a wagon body style, and the availability of all-wheel drive), but only two doors. Most of its competitors are compact SUVs, all of which have the functionality of four doors and generally more overall interior space. But Paceman is marginally quieter and smoother riding than the similar Mini Countryman (with which it shares powertrains and elements of its basic design), which has four doors. For some shoppers, the appeal of the Paceman’s unique two-door styling outweighs the corresponding compromises in practicality, though a Countryman is a more logical choice for most Mini buyers.